Marie is one of our opticians. She has been with us since 2013. 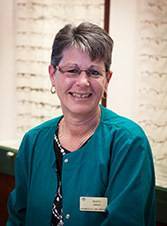 She is great at picking our frames and lenses for your needs! Marie lives in Bellefonte with her two daughters.